Home Topics Blended & Personalized Learning It’s a Project-Based World. Let’s Prepare Students for It. As millions of students head back to school this coming year, we hope students are engaged in meaningful and joyful learning experiences that can help them learn more about who they are as individuals and what unique contributions they can make to the world. We also want them to be well prepared for what lies ahead. What does that look like? It’s complicated. Young people will inherit a complex and competitive world. A billion people have been lifted from poverty but gaping inequalities remain. Smart machines are improving lives but raising challenging ethical questions. How do we prepare young people to address novel and complex situations? It’s project-based. Four out of ten young people will earn a living doing freelance work. Another four in ten will probably land full-time jobs and do much of their work on teams in projects. How do we prepare young people for careers likely to be a sequence of projects? It’s ‘show what you know.’ It’s not what you know, it’s what you can do. In a transparent and connected world. Traditional pedigrees matter less than demonstrated competence. The ability to build a portfolio of high-quality products with references to back it up is the currency of the new economy. How do we prepare young people for a ‘show what you know’ world? It’s deep work. The ability to deploy critical thinking, communication, collaboration and problem-solving over time in difficult situations has been called the killer app of the new economy. How do we promote deeper learning consistently and equitably? It’s a project-based world. An optimal way to prepare young people is to ensure they have access to high-quality project-based learning (PBL). In our new publication, Preparing Students for a Project-Based World, released jointly by Getting Smart and Buck Institute for Education, we discuss the new economy that is influencing the career options of young people. In order to prepare all students for the future, especially those with the least access to educational opportunity, we need instructional strategies that contain strong and proven pedagogies with great teaching. Education leaders should communicate the rationale for project-based learning (PBL), and empower shifts within their school, district or network culture to make sure students and teachers have support and tools for high-quality PBL instructional practices. Teachers should use the BIE Gold Standard framework to construct high quality learning experiences for and with students. 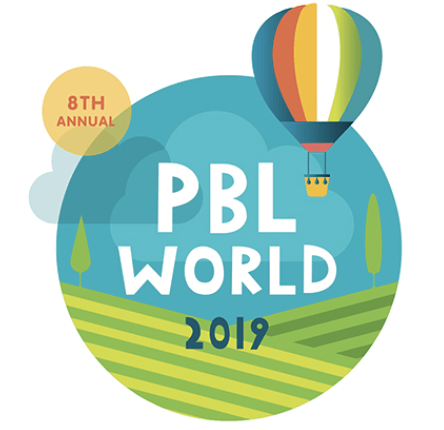 Business leaders should advocate for community connected PBL and contribute efforts to mentor and support PBL in their communities. Parents should advocate for high-quality and engaging learning opportunities for and with their students. When students experience success, and parents witness it in student-led conferences or exhibitions, everyone benefits. In conclusion, we’ll offer three actions that could make an impact. As an educator, consider shadowing a student (#ShadowaStudent) for a day in September and try to gauge the amount of time they are fully engaged in productive learning. Ask them what projects they are engaged in (at home or at school) and find out what works in their school and what could work better. As a teacher in a classroom, consider having students present their work publicly as much as possible–to their parents, mentors and peers. When students have an authentic audience and purpose for their work, students raise the bar for their own work. If a student was asked to present three times a year beginning in kindergarten, upon graduation that student would have an expertise in communicating their work, receiving real time feedback and making it better. 1) how the world has changed, 2) what graduates need to know and be able to do, and 3) what kinds of learning experiences will encourage those outcomes. The world has changed dramatically and schools have not. PBL is a method that will engage students now in significant learning and will prepare them for success in our complex and competitive world. “Preparing Students for a Project-Based World” is co-authored by Bob Lenz, Buck Institute for Education, Bonnie Lathram and Tom Vander Ark, Getting Smart. To learn more, download the full paper and follow along on social media using the hashtags #DeeperLearning and #ProjectBased.